Gem-quality grandidierite is extremely rare, and it often appears on the list of the 10 rarest varieties in the world, along with gems like jeremejevite, painite, benitoite and taafeite. Many rare gem collectors would love to add grandidierite to their collections, but it has been almost impossible to find. The recent discovery of some gem quality material in Madagascar has now made a few high quality stones available. Grandidierite was first discovered in 1902 in Madagascar by Alfred Lacroix, a French mineralogist. Lacroix named the mineral in honor of French explorer and naturalist Alfred Grandidier (1836–1912), the first authority on the natural history of Madagascar. Since its initial discovery, samples of grandidierite have been found in only a few locations around the world, including Malawi, Namibia and Sri Lanka. But the few gem quality specimens have come mainly from Madagascar. Gemologically, grandidierite is a magnesium aluminum borosilicate. It has a hardness of 7 to 7.5 on the Mohs scale, similar to garnet; a density of 2.85 to 3.00, in the approximate range of tourmaline; and a refractive index of 1.590-1.623. It forms in the orthorhombic crystal system. Grandidierite is typically bluish green in color and derives its distinctive color from traces of iron. Gemmy material is translucent to transparent. Fully transparent specimens are ultra rare. Be aware that opaque material is not gem quality and sells for low prices to unwary buyers. Since grandidierite is so rare, we took several specimens to GIA in Bangkok for verification. GIA confirmed the samples as natural untreated grandidierite and they issued special reports (GIA Notable Letters) on several of the gems. 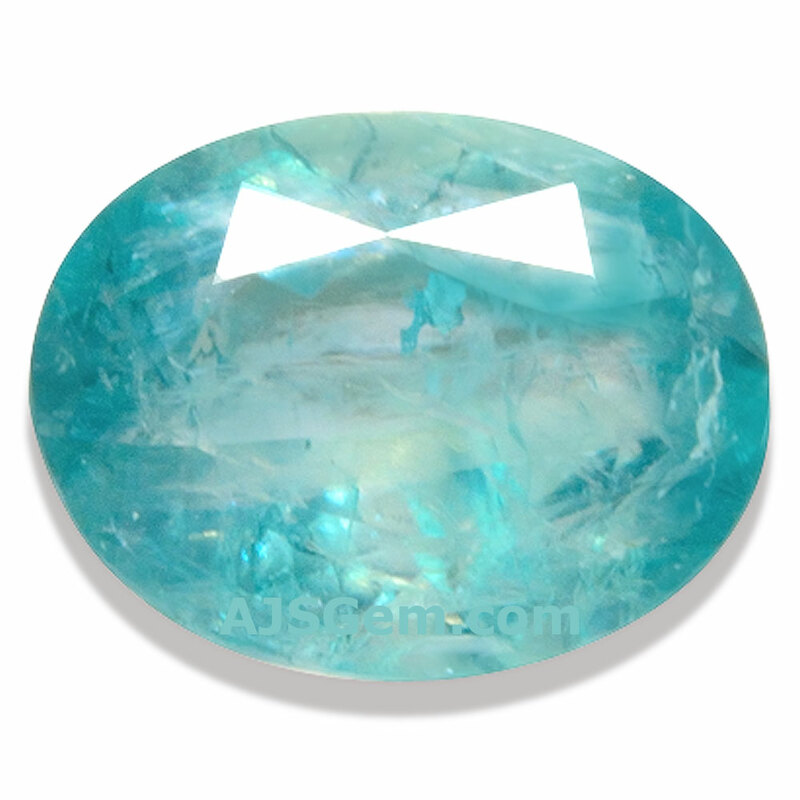 The gems are described as "extremely rare" with "very high transparency," with grandidierite characterized as "one of the rarest gemstones on Earth." Several of our grandidierites are over 2 carats, a very unusual size for these rare gems. The largest is 4.54 cts, which GIA described as follows: "Very fine, large gem-quality grandidierite with high degree of transparency and distinctive color like this 4.54 ct gemstone can be considered extremely scarce."